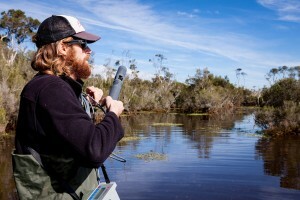 Elevated heavy metal concentrations have been reported in previous studies of sediment and plant and animal life in the Gippsland Lakes. 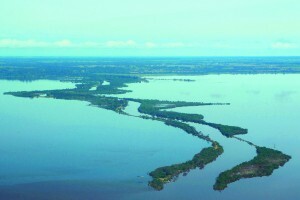 However, little is understood about the potential risks of those contaminants, neither in the sediment, nor if they were to become mobile in the water of the Lakes. Lake King and Lake Wellington have recorded elevated levels of contaminants in previous studies and have known mechanisms for metal mobilisation: anoxia and methylation in Lake King and acid sulphate conditions in Dowds Morass. An understanding of the historic levels of metal contamination of the Lakes’ sediment. Simulations of potential contributing factors into the future, such as drier conditions in the morasses or increased algal blooms in the deep lakes, to help mitigate further risk caused by metal mobilisation. 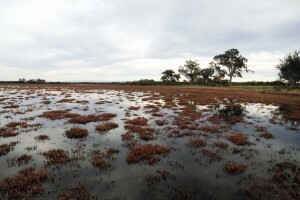 Information compiled over three distinct regions of the Gippsland Lakes: the deep regions of Lake King, the fringing wetlands of Lake Wellington and marshlands of Hollands Landing. Examination of historical heavy metal loads in the lake sediments to facilitate modelling of factors that could lead to the mobilisation of these metals. The research will be used to develop risk mitigation strategies for metal mobilisation in the Lakes. 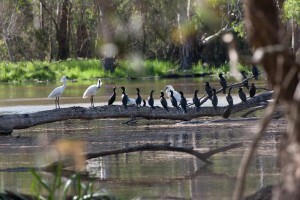 The results can then be factored into management plans for the Lakes, including water regimes for the Latrobe River and fringing morasses, and control of algal blooms in the deeper lakes.